The 2018 Colour of the Year, Olivine, hit the stores in at the end of March. It is a beautiful green with an olive tone. Gives the green a has a beautiful soft tone yet a strong bold colour. 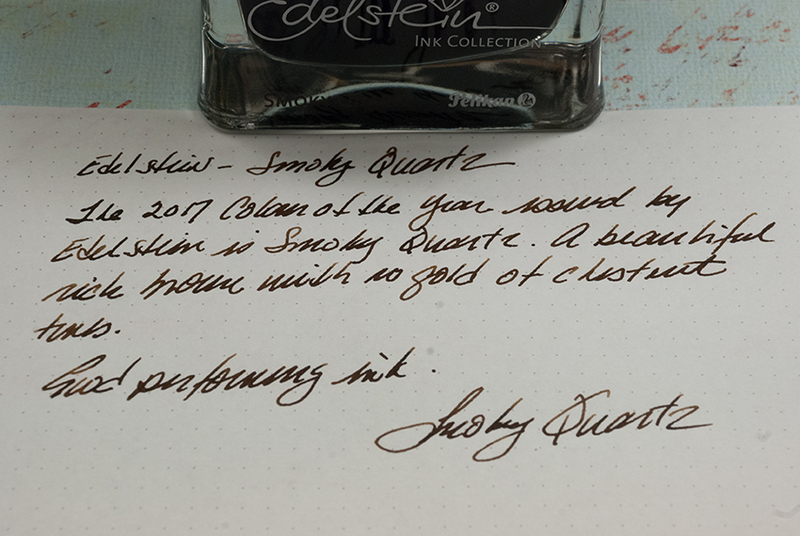 A beautiful dark true brown was issued in 2017 - Smoky Quartz. 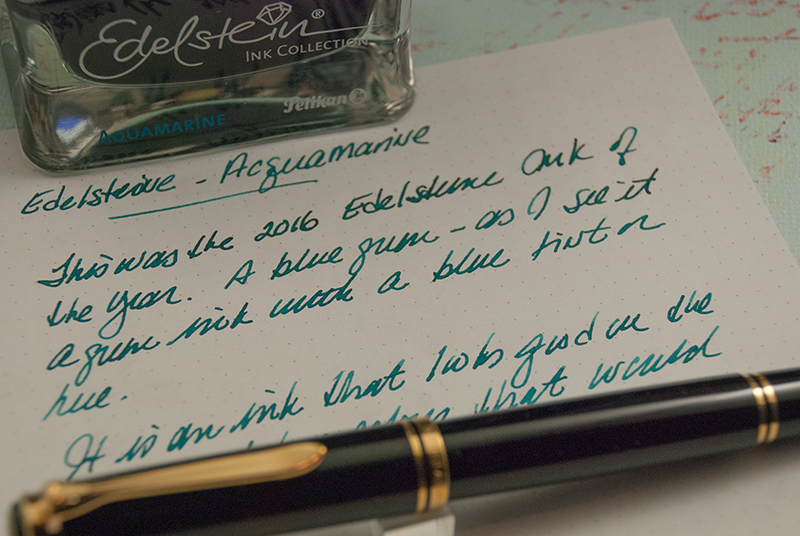 The 2016 colour, Aquamarine, is a green with a hint of blue. Amethyst is a ink in a beautiful purple tone. It is often described as a medium purple in terms of its colour depth. 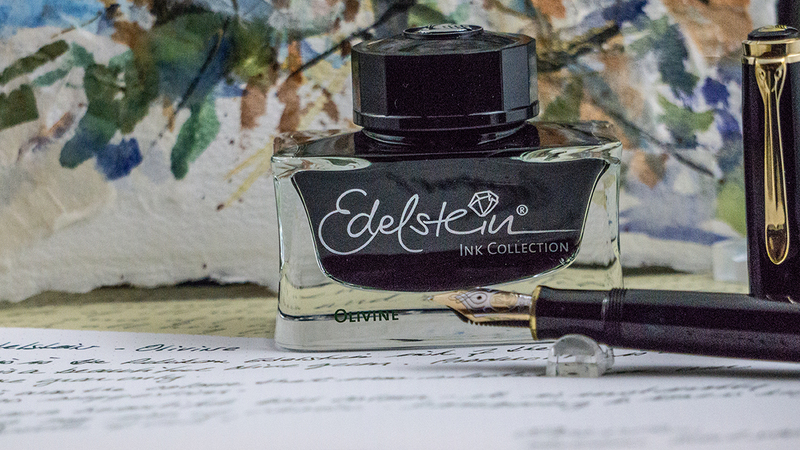 The wider the nib, the more the pen gives shading of various tones of purple. The 2014 colour is a red with a touch of what I would consider coral. The 2013 colour is a gold tone ink. Some of the user comments I have seen note that is can be considered rther light. 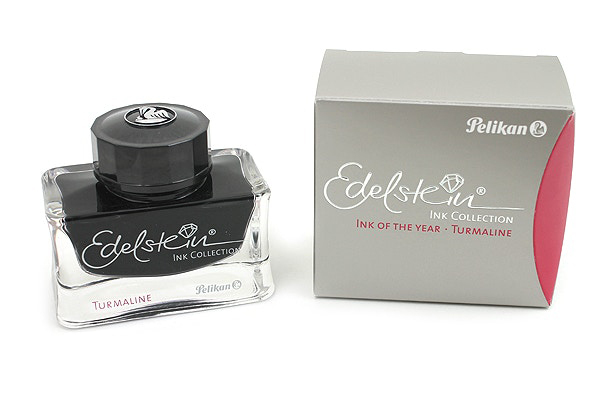 The ink has good shading with a broad or stub nib. 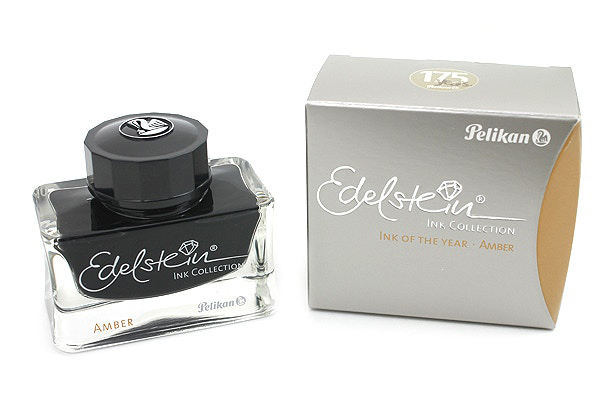 The n ame Edelstein means precious stones, and the ink of the year reflect the colours of gem stones. Here is a colour that is described as a bold pink.